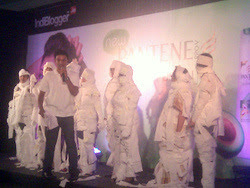 When Nature & Science came together - My first Indiblogger Women's Meet Pantene Nature Fusion Experience! One with the winning team! I am never good at keeping promises that involve spending time away from home (hubby too) on Sundays. Unfortunately for me, many a blogger meets have happened on Sundays. While I signed up for most of them, I never made it to either of the venues. 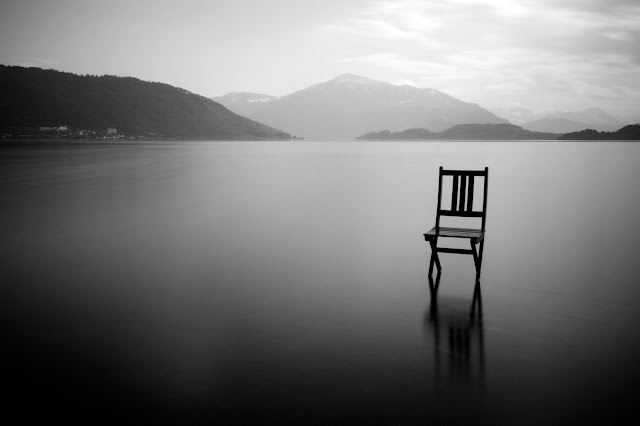 My loss completely and now I know how! 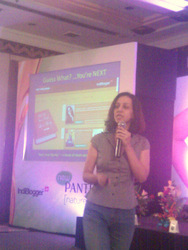 And this is why I am really glad I pushed myself to attend the 'Pantene Nature Fusion Women's Indiblogger Meet'. On a fine Sunday morning I happily hopped into the Delhi Metro heading to ITC Sheraton, Saket. As luck would have it, I found the first Metro station crowded, so much so that the queue for tickets snaked out till the auto stand (not exaggerating, I swear). Plus, my Metro card had no balance and was far off the validity date to be recharged. Thankfully He was close by to rescue me, driving me up to the next empty Metro station. So my late entry into the meet has ‘blame-the-mismanaged-Delhi-Metro-ticket-counter’ written all over it. I was late yet when I entered the ballroom someone (sorry I never asked your name) greeted me with much enthusiasm and here I was expecting weird ‘you-later-comer’ looks! I was handed out a token which read‘65’ for my complementary hair spa. Luckily enough I wasn't too late, soon found myself a table occupied by fellow bloggers. What surprised me most was to see women from all age-groups present here and for some of them it was the 4th or 5th meet they were attending. Shame on me! Soon we were playing our first game – ‘mummifying’ where each ‘mummy’ stood for a cause. My team’s mummy stood for all our everyday-stressed moms - fabulous, loving, generous, superb, lovely, kind and a lot more. 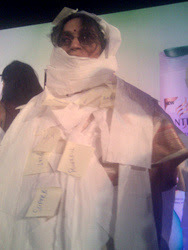 Our mummy who volunteered to be mummified was The Cyber Nag! The Cyber Nag - Naggiest Super Mama of all! Sadly, we did not win anything. Next we moved onto introductions. This is what I was looking forward to most and interestingly while we said what we had to about ourselves, we had to end it with a quirky line/dialogue/quote that showed up on screen in sync with the emoticon thrown up with each one. This was hilarious! 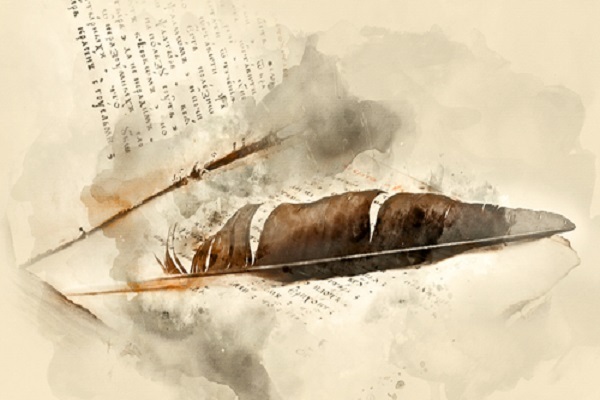 Here were an interesting mix of women bloggers who belonged to different vocations and they loved to blog! 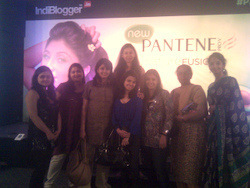 Thank you Indiblogger and Pantene India for bringing like-minded bloggers together! At lunch, I got a chance to get know fellow bloggers a little more closely – what was their motivation behind blogging, why they blogged about what they did and more. Post lunch, it was time to know the secrets for great hair. As Kitty Forman puts it, “Men have cars. Women have hair. So what cars are to men, hair is to women…”I truly believe in this mantra and Pantene India did not let me down! Because Indian women (at least most women) love to wear their hair long, we are easily stressed out with hair fall, dandruff and the likes. The reason for these is many while solutions…well some work and some don’t. Therefore, Pantene India took a step forward and flew in their Hair Scientist from Brazil, Lais Koelle. Lais took us through a short yet meaningful presentation on Pantene’s latest launch – Pantene Nature Fusion Shampoo & Conditioner. Giving us an insight into what made the shampoo so different and why it was just right most hair types, happily assuring us that it was safe enough to use daily. Why? 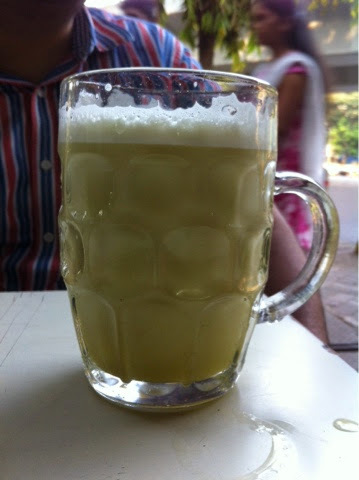 Because it was so light and the magical core ingredient being Cassia which helps strengthen the hair and grow. In addition to this, she answered every query put across to her, giving insights and explaining everything in detail. 1. One can shampoo daily depending upon their hair needs. 2. It is extremely important to know which products are right from you hair else however good the product, it won’t work for you. 3. Travelling, living conditions and water contribute a lot to your hair health. 4. Using the same brand shampoo and conditioner together is a must. This is because the shampoo being used helps prepare the hair in a certain way and hence, the same conditioner helps to enhance the hair condition further, i.e. the shampoo helps our hair ‘condition’ itself in a certain way and therefore, the conditioner used later, is effective. 5. Do not go in for hair treatments just because it is new and you want to try it out. Always keep your hair needs before vanity. Thanks to Lais and Pantene, I am going to religiously follow a simple yet hair care regime! 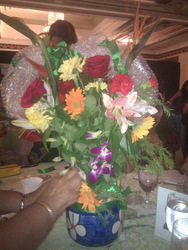 To end on a good note, my team won the flower decoration activity. We had to make the best use of the secret ingredient we picked and ours was a ‘bubble wrap’. While we managed to somehow put it to best use, we never thought we would win! 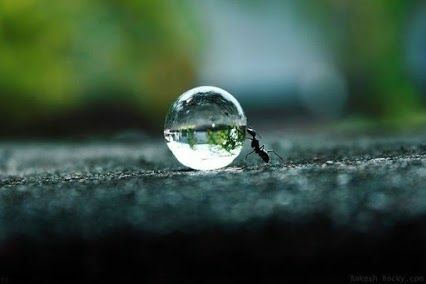 But because bubble wrap was a tough one and we had managed to use it well (according to Lais), we landed the 1st prize. Yay! Nah this isn't the final result...but it wasn't very different from this! And for a bookworm like me, what made it a perfect ending was to meet author Yashodhara Lal of ‘Just Married, Please Excuse’ fame. She spoke about her book which is a super-light read and great for some good laughs, and is doing really well with the 2nd edition going into print on demand. In addition to this, Lal introduced us to the joys of writing your ‘own book’ and to the ‘Get Published’ initiative by Indiblogger & Harper Collins. To know more, do look it up on their website! Yashodhara Lal living it up! I left the venue with a nice Indiblogger-Pantene Nature Fusion t-shirt and of course, the eco-friendly paper-box speakers that I won! A lovely event and a day well-spent! That seems to have been fun! Congratulations on winning flower arrangement. That looks very good. Nice fun you had.